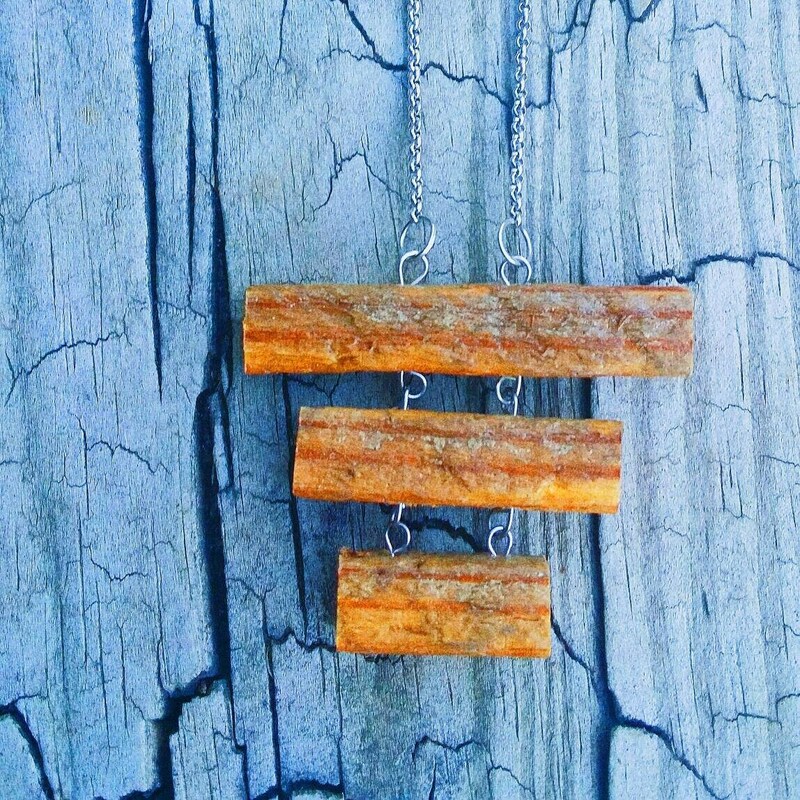 RECLAIMED SYMBOLS THE STEPS. 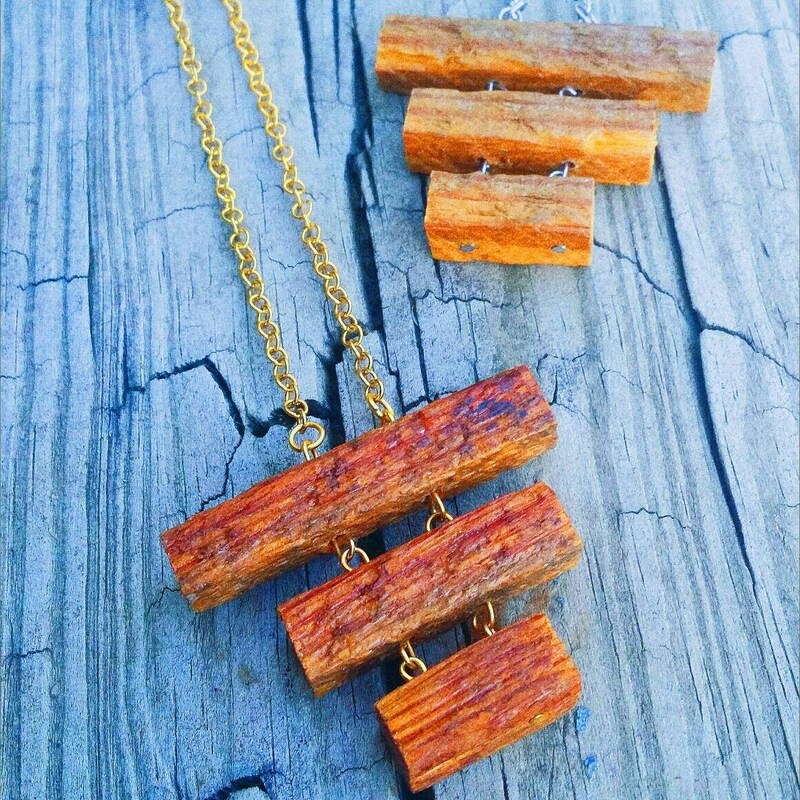 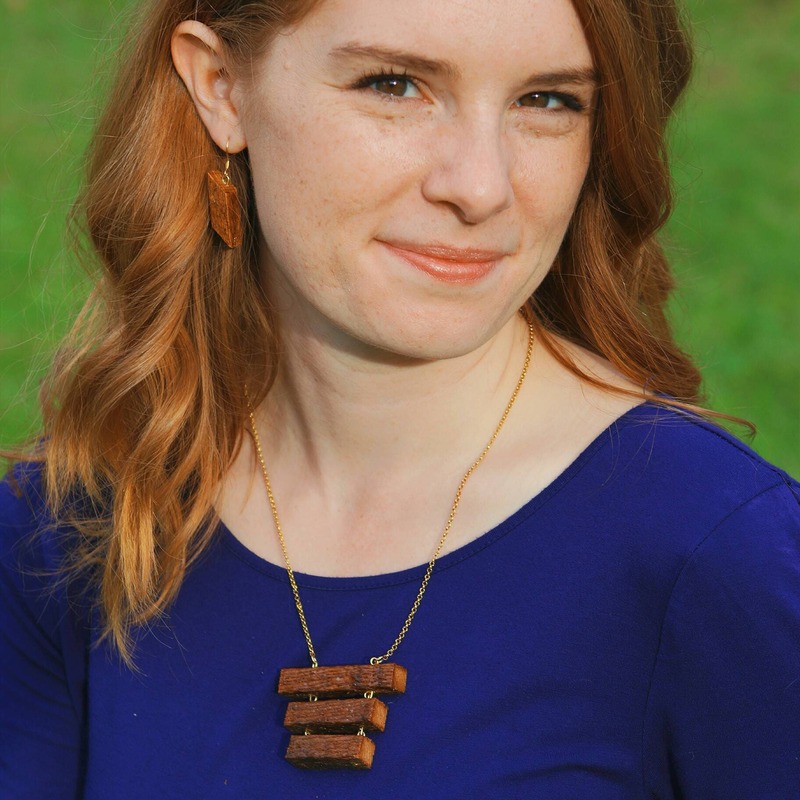 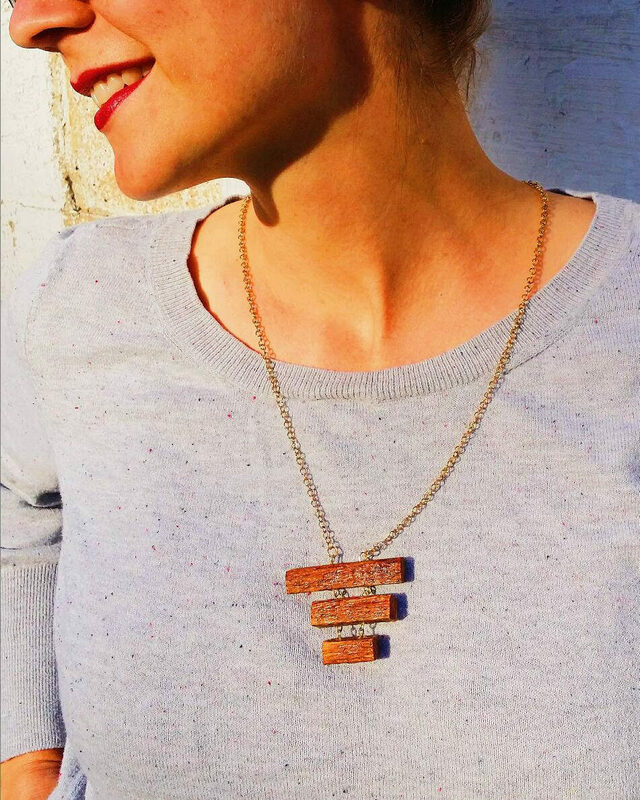 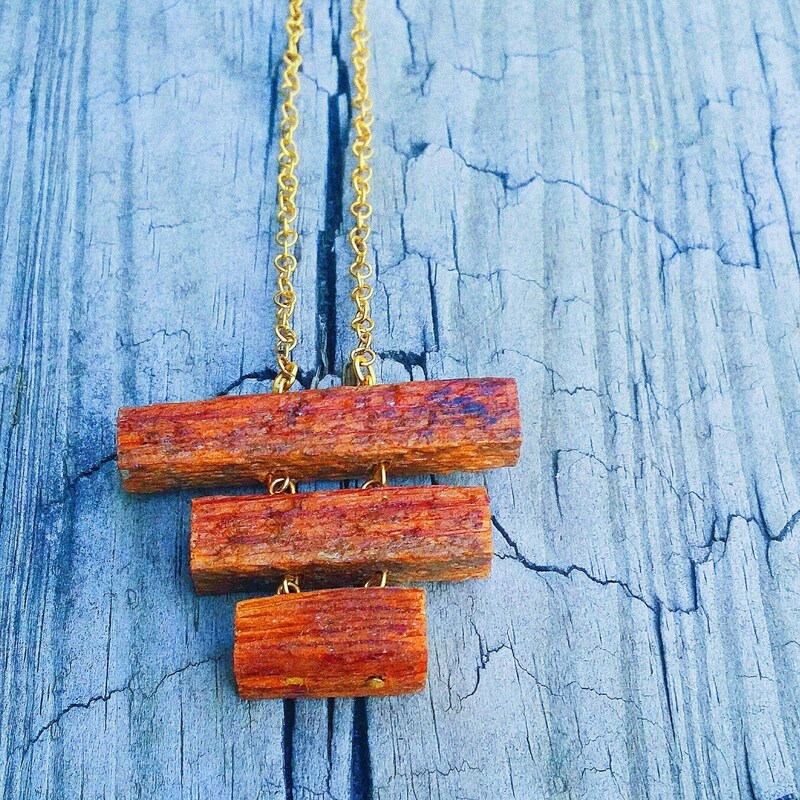 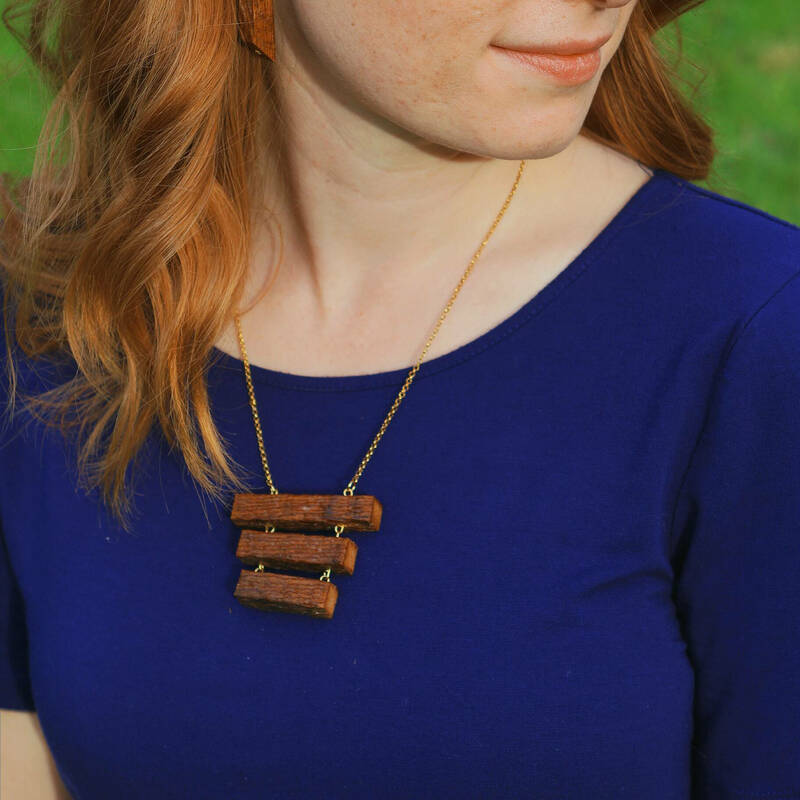 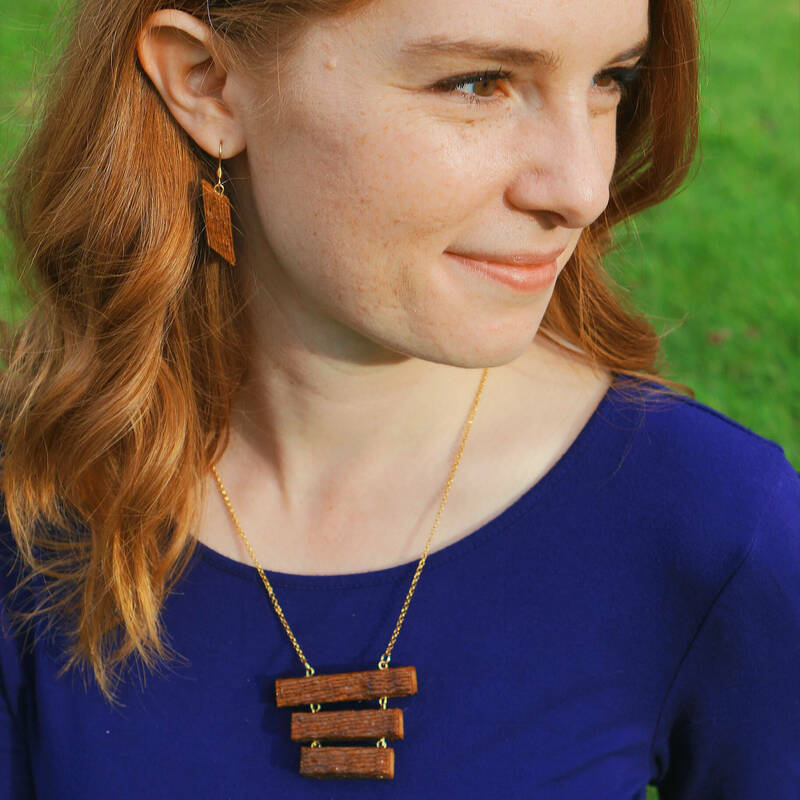 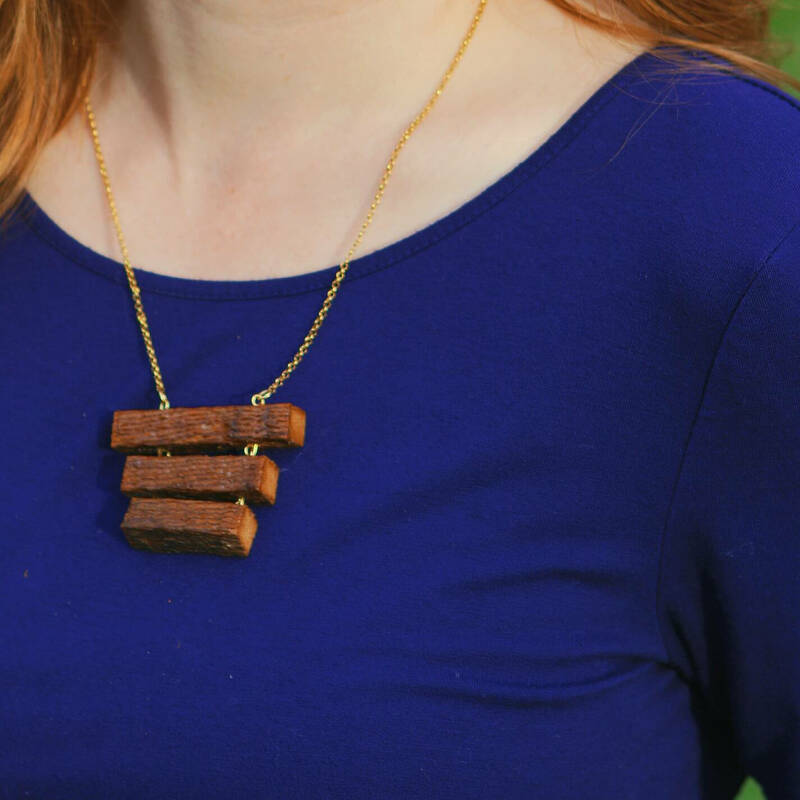 Simple yet elegant natural necklace made from reclaimed wood and your choice of stainless steel or gold-toned stainless steel adjustable 16 - 18 inch chain. 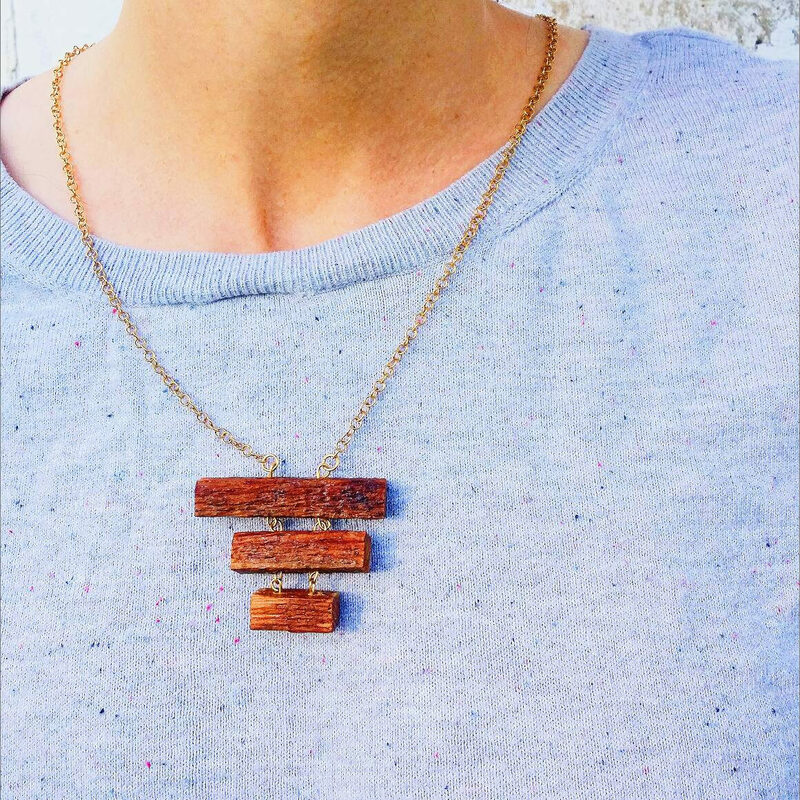 The reclaimed wood charm is .75 x 2 inches.